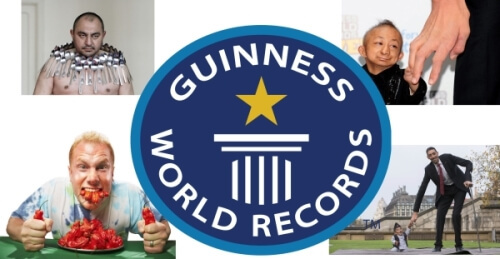 Guinness Book Of Records was originally published by Guinness Breweries in which Sir Huge Beaver was the Managing Director. It takes almost 13 and a half 90 hour weeks including all holidays to write the first edition of this book according to sources. In August 1954, the first 1000 copies were printed and published. In 2017 edition, almost after 63 years from its first edition, the book is now published in almost 100 different countries and in 37 languages. It is a fact that Ashrita Furman (Keith Furman), a New York resident, holds the record for holding most of Guinness World Records. Even Guinness Book Of World Records holds a record of being the most sold copyrighted book in the world. Many of our readers must have not even heard of Michel Lotito who holds the record of eating an entire airplane. It’s very funny to know that Iran lost the opportunity to enter in the Guinness Book of World Records due to his own citizens. Yes, Iran tried to get into the Guinness Book Of World Records by making worlds biggest sandwich but before it could be officially measured by the officers of ‘Guinness Book of World Records’, people started eating it and hence Iran failed to win the title. In 2008, Jonathan Lee Riches sued Guinness Book Of World Records for naming him for the title of ‘The Most Litigious Man In The World’. Sultan Kosen from Turkey holds the record of tallest living person in the world since 2009 as verified by Guinness Book of World Records. In June 1977, Steven Petrosino held the record of drinking 1 litre of beer in just 1.3 seconds but later ‘GBOWR’ dropped all the beer and alcohol records from the year 1991.